Motel Crime Victim | Miami Injury Lawyers Gerson & Schwartz, P.A. Miami offers visitors a variety of hotels and motels for their work trips and vacations. While hotels have multiple floors offering dozens or hundreds of rooms, motels are typically smaller. They usually are one or two floors, and there is direct access to their rooms from outside. For rooms on the ground floor, visitors can drive up and park directly in front of their doors. This speaks to where the name “motel” came from. It is a motorist’s or motor hotel. They were originally built as inns along U.S. highways. Modern motels are often considered more utilitarian in design that hotels, which can range from minimalistic to lavish. They typically have fewer amenities than hotels too. It is also common for motels to have fewer security measures than hotels, which can restrict public access to a greater extent. The open access of motels may make visitors vulnerable to crimes, including burglary, robbery, and assault. 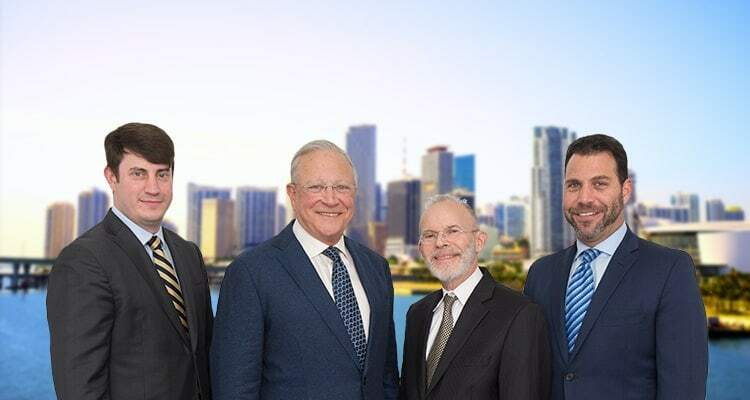 For over 48 years, the motel crime victim lawyers at Gerson & Schwartz, PA have helped numerous victims of crime obtain compensation for criminal acts of third parties arising on the premises of motels in Miami, Florida including Miami Beach, South Beach, Coral Gables, and other areas in Miami-Dade County. If you were injured in a crime at a Miami-area motel, the best thing to do is contact a Miami motel crime victim attorney. Gerson & Schwartz P.A. crime victim injury lawyers have over four decades of experience representing crime victims at motels, hotels, and other establishments in Miami-Dade County. Consultations are free so don’t delay if you were the victim of a crime. Contact us at (305) 371-6000 or toll free at (877) 475-2905 to schedule a free consultation. Our personal injury law office knows how to use the civil justice system to help victims of crime put their lives back together. If you or a loved one were the victim of a violent crime at a motel in Miami contact us for help. Read Online Reviews - Online reviews can offer useful information about known dangers about motel properties in Miami. Reviews are helpful in getting updated information about a particular premises, property or other establishment. Become Familiar with the Area - If you are new to the area learn about the area and neighborhood before you stay at a Motel in Miami Dade County. Read a map. Look up the neighborhood on google maps. Even if you are not the victim of a motel crime on the property, you can still be victimizes in other areas close by. Some motel locations in Miami, Florida are known to be in or in the vicinity of high crime areas. This may be unknown to first time guests or travelers. Become familiar with the area so you know what part of town to avoid. Don’t Walk Alone and Use the Buddy System - We all remember this from school. But, it’s always best to walk with a friend or another patron. Don’t walk alone late at night when you are staying at a Motel in Miami. Crime Deterrence can be used by walking in groups or another person. When staying at a motel, you expect an unremarkable visit. Whether you are in the area for work or fun, you do not anticipate spending too much time in your motel room. However, you are likely to be in the motel room in the evenings, overnight, and the mornings. You may find yourself there at various times during the day for a quick break or nap. While you are in your motel room, you are protected by a locked door. Unfortunately, this is not a strong deterrent for offenders. Some motel crimes begin by someone knocking on the door. They gain access to the room when you open the door and they force their way in. Once inside, you may be injured in a physical assault, sexual assault, or a burglary. You may also be the victim of a crime outside of your room while you are in the parking lot of the motel or in a common area, such as the front office, a laundry room, or swimming pool. You can be injured during a physical or sexual attack. You can also be hurt in a shooting. Whether you were injured in your room outside of the motel, you should contact a motel crime victim attorney for Miami at Gerson & Schwartz P.A. As a victim of a crime in Miami, there may be criminal and civil consequences for your attacker. If the offender is apprehended by the police, the local prosecutor may move forward with charges. The offender may face a misdemeanor or felony crime for the conduct that led to your injuries. Whether or not your attacker faces criminal charges, you can pursue a civil claim against them for compensation. When you are injured due to another person’s negligence or intentional misconduct, then you are entitled to hold that person liable in court. You can file a personal injury suit and seek compensation for your physical, psychological, and financial injuries. However, it is common for individual defendants to not have significant financial means. Even if you were to win a personal injury claim against your attacker, it may be difficult or impossible to obtain the monetary judgment. However, you may not be aware that there are other options outside of a personal injury claim against the offender. If you were injured at a motel, it is possible that the owner or manager of the facility is liable for your injuries sustained in the attack. Under Florida’s premises liability law, businesses have the legal duty to keep their premises reasonably safe for paying customers and clients. This includes ensuring appropriate security measures are in place based on the typical crime in the area surrounding the motel. To discuss your legal rights after being a victim of a crime, such as filing a negligent security claim, contact a crime victim lawyer for Miami motels today. The full value of your claim depends on a number of factors, including the type and extent of your injuries. The more serious your injuries, the greater your economic losses and the value of your pain. If you suffered a permanent disfigurement or disability, this also increases the value of your claim. Additionally, if the defendant’s actions were shocking, egregious, or reckless, then you may be able to pursue punitive damages. These are not intended to compensate you for an injury. Instead, they are meant to punish the wrongdoer. For more than 40 years, the Miami motel crime victim lawyers of Gerson & Schwartz P.A. have represented individuals against motels owners and operators who fail to keep their premises as safe as they should. Contact us online or call our Miami-Dade County office at (305) 371-6000.